I graduated from Cornell University in 2011 with a Bachelors of Science in Biological Engineering. My undergraduate honors thesis investigated how different manure application methods affected the surface proteins expressed by the bacteria Escherichia coli, which can alter the pathogen's virulence and movement through the soil. After graduating, I worked in Alaska as a research assistant to Dr. Mike Gooseff from Penn State, and helped with field work to study the hydrology of thermokarsts, which are giant chasms, often near streams, that open up due to melting permafrost. In 2012, I graduated from the University of Cambridge with a Master of Philosophy in Biological Sciences (Zoology). For my thesis, I researched the ecosystem-level impacts of a newly arrived invasive shrimp species in the United Kingdom, and evaluated potential control methods. 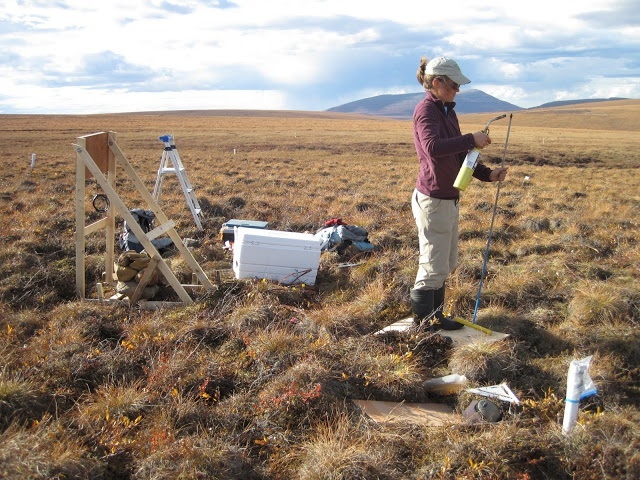 I then returned to Penn State to think about more things polar, and worked with data from the McMurdo Long-Term Ecological Research station in Antarctica to investigate the physical and biological changes occurring in the McMurdo Dry Valley lakes. I am currently developing a project that will investigate the potential of biochar, a product very similar to charcoal that is used as a soil amendment, for addition to green roof growing media used in agricultural production. The application of green roof technology to farming is limited by practical considerations including roof load bearing capacity, the arid nature of the rooftop environment, and concerns about water pollution from the use of fertilizers. With characteristics including a very low density and observed ability to retain water and nutrients such as nitrate, biochar has the potential to address these constraints. However, biochar has very rarely been studied as an amendment in soilless media. I intend to investigate the effect of biochar on nitrogen cycling in green roof media, and specifically whether the application of biochar to green roof media treated with synthetic fertilizer can mitigate the amount of nitrous oxide and nitrate released over the course of a growing season.